Complimentary Beach Service March 1-October 31! With the stunning Gulf of Mexico as your backdrop, this three-bedroom condo is the perfect destination for your next vacation. 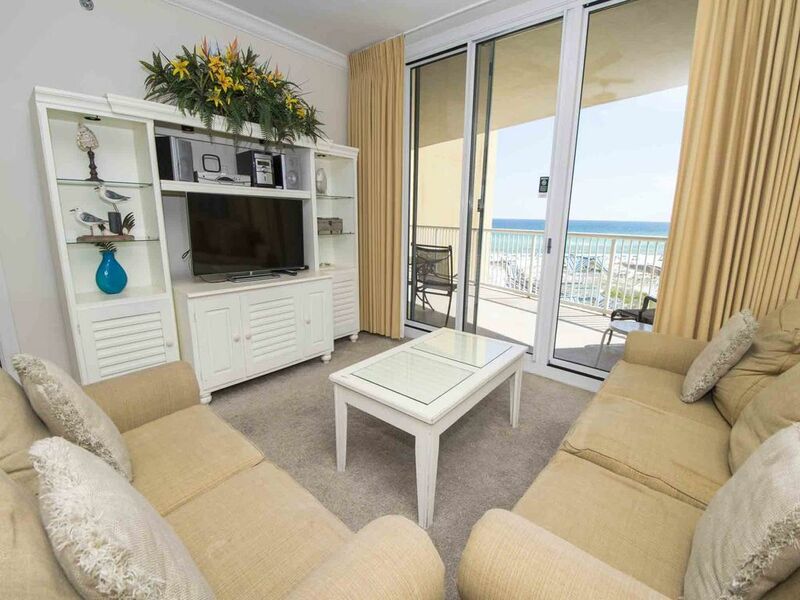 Located in the Azure Resort on Okaloosa Island, Azure #420 simply decorated to allow the beach to be the primary focus. Throughout the open floorplan of the main living space and the master bedroom you will enjoy natural light and views of the shore. This condo has three bedrooms and over 1300 square feet of living space to accommodate up to 10 guests. During your stay you will be able to enjoy all the comforts of home including flat-screen TVs, free WiFi, and a fully equipped kitchen for preparing your favorite meals. When you are ready to get outside you will find the 500 feet of private resort beach just a few short steps away. Every stay here includes complimentary beach service during season. You also have access to all the wonderful amenities at this Resort including beachfront pools, onsite fitness center, and children’s splash area. Book your next great beach vacation today! The Azure's location is perfect but, this condo needs some work. The couch needs to be replaced and the kitchen needs to be restocked. Only one semi-decent pan for cooking and all the baking sheets are rusted. The washer and dryer are on their last leg. But, a bad day at the beach is better than a good day anywhere else. Thank you so much for the feedback regarding your stay. We will address the maintenance issues immediately and will work with the owner to replace furniture and appliances as needed. We appreciate that you took the time to make us aware of these issues. Thank you again for your time and for staying with us at Southern.